is almost as important as choosing the right kayak. The lighter weight the paddle is, the more comfortable the paddler is over the long haul. Our new PreTec tour is an extremely lightweight and nearly indestructible touring paddle. Constructed of up to 15 layers of pre-impregnated Expoxi-weave. The blades are pressed under high temperatures to create a high quality, very durable blade. Blades constructed of up to 15 layers of pre-impregnated carbon/glass composite weave and the backside compound completely of carbon. Carbon shaft utilizes glass reinforcement and integrated positive profile. The RIM Ardeche is a reaction injected molded urethane asymmetric blades for efficient and relaxed paddling. RIM urethane blades offer outstanding durability. The duraluminum shaft with shrink-wrap grips is strong yet resilient. The Rim Ardeche is a great option for the economy minded paddler! Weight approximately1290g. Six possible adjustments to ensure the optimal fit. Rescue belt with emergency release. Interior mesh pocket and outer pocket allows for tow line attachment. Outer Material: CORDURA Flotation Foam constructed of AIREX. 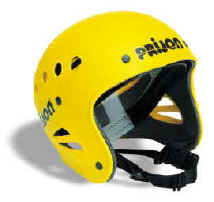 The Surf is a lightweight, full coverage helmet suitable for all types of whitewater. High density polyethylene shell has an Adjustable harness for one-fits-all sizing. Excellent choice for recreational paddlers. Adjustable sizing from 51-63 cm Weight: ca. 430 g.
Constructed of high quality, tear-resistant nylon. With a roll-top closure. 50 liter capacity with shoulder straps.